All six books are available in Paperback, Kindle, or Audio book form! The Immortality Blues opens on New Earth where we find Vito Martino immortal after his life was saved by the super being Defender-11. But pondering living on while his friends and family members age and die has put him in a funk. So, Defender-11 attempts to cheer him up by sending Vito on multiple missions, back in time on Earth where he will witness history and attempt to undo some of the wrongs the evil one, Defender-4, had done in the past. Vito meets famous people and others, influencing history in subtle and surprising ways. Founding fathers? Check. Jesus Christ? Of course. Inimitably, Vito's interactions with benevolent and malevolent beings combine humor, savvy, and action. Upnick connects these adventures with episodes from the five previous books in the Time Will Tell series. Through time and space, friendships endure through danger and joy. Upnick's memorable characters make The Immortality Blues a gripping continuation of his epic series. 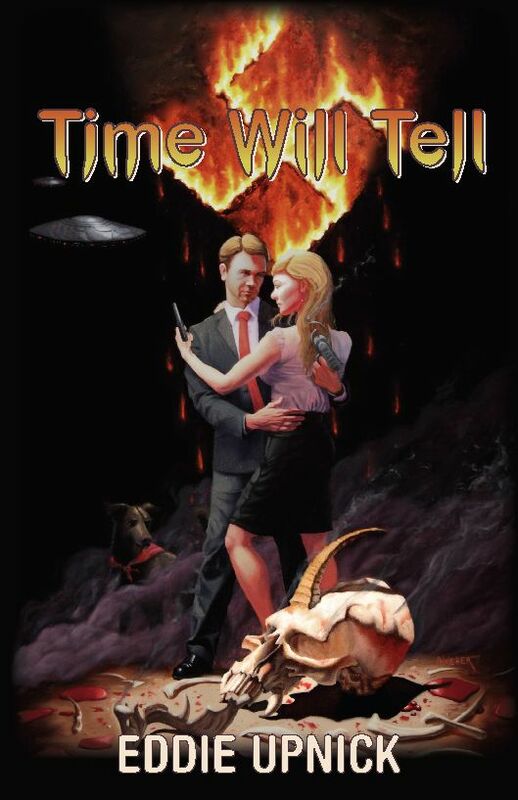 The Time Will Tell Series: Books 1 - 5 Follow the lives of the Time Traveler Jeff and his best friend, Clem Rizzoli. The Time Will Tell Series, books one through five, bring the readers through time in this fast paced action series. The offspring of the heroes from book one have to tie up loose ends as the series continues. In all, we follow the lives of the families of Jeff and Clem from 1938-2055. Enjoy the ride. Here's your chance to buy all five books in ONE e-book at a great price! to send an email for details. 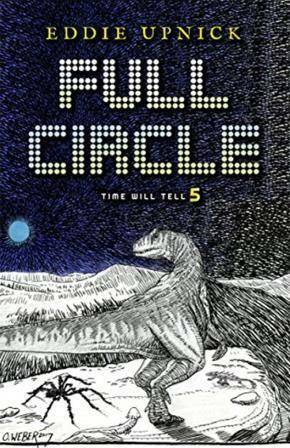 Full Circle brings together many of the characters in Eddie Upnick's four previous books, Time Will Tell. 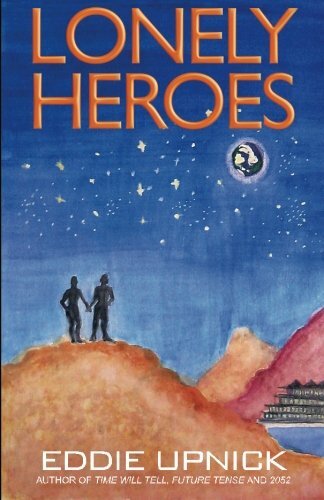 Lonely Heroes, Future Tense, and 2052 in a reunion on New Earth, the planet to which many humans have moved after a cataclysm on their home world. Interstellar- and time-travel bring the protagonists together for a brief vacation before the action really starts. Once again, Vito (and his team) is called upon to perform heroic deeds the results of which will have consequences for humans and aliens, alike, throughout the galaxy. Supernatural powers will be required to combat the forces of evil. The key to the outcome of this clash is a simple password. Who knows it and who will be able to learn it? Through the mechanics of time-travel, we also learn how the evils of World War II were not strictly terrestrial. And with that battle approaching its conclusion, threats for the future loom. Will Vito, Jeff, Louise, and Clem be able to preserve the timeline and its unfolding as we know it? Or will events take a drastically different turn, creating an unrecognizable and deadly future? Lonely Heroes is an action adventure which covers many realms. From Putin's plans to make billions from a brilliant plan to end the world: to slowing the Iranian nuclear weapons program: working with the top Israeli agent, Zera, Roger Taylor, the CIA,s best, work together on Earth to save the planet and other aliens from extinction. This is a book you can not put down! Lonely Heroes is a must read! 2052 is a fast-paced, action-packed, heart-wrenching thriller. 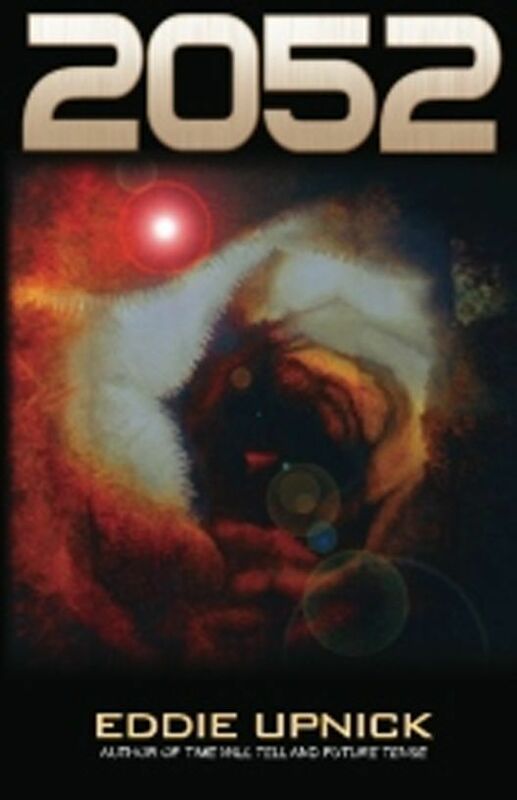 Eddie Upnick's characters are his greatest strength, as the reader feels attached to all of them. As the sequal to Time Will Tell and Future Tense , 2052 ties the story together in a fascinating way. From the beginning of the series where the rebel scientists from a dystopian future travel back from 2133 to 1938 to attempt to change the outcome of World War Two in Time Will Tell, to the youngest son of Clem Rizzoli, (a protagonist from TWT) Vito tries to tie up the loose ends his father left behind some twenty years earlier in Future Tense. 2052 has Vito and Victoria (the daughter of the time traveler) and their super-naturally gifted children try to save the world from threats from outer space. Get lost in this reality based science fiction story, which is pure escapism at it's best. In Future Tense, the sequel to Time Will Tell, picks up the story twenty years later, from 2022-2028. Our planet is in peril from nuclear threats and alien forces bent on Earth’s destruction. The Defender returns to Earth, giving special powers to four teenagers. Can these two sets of twins save our world from the incredible internal and external threats it is facing? Future Tense is a page turning thrill ride which follows the children and grandchildren of Jeff and Clem, Earth’s saviors from Time Will Tell. In Time Will Tell the year is 2133 and the Nazis control the world. Four scientists are pressured to complete a Time Travel project in time for the 200th anniversary of Hitler’s coming to power. A plan is hatched to change history, as the four scientists are transported back to Berlin in 1938. Two SS agents from the future chase the scientists back in time, carrying with them the most hideous weapons of the 22nd century. 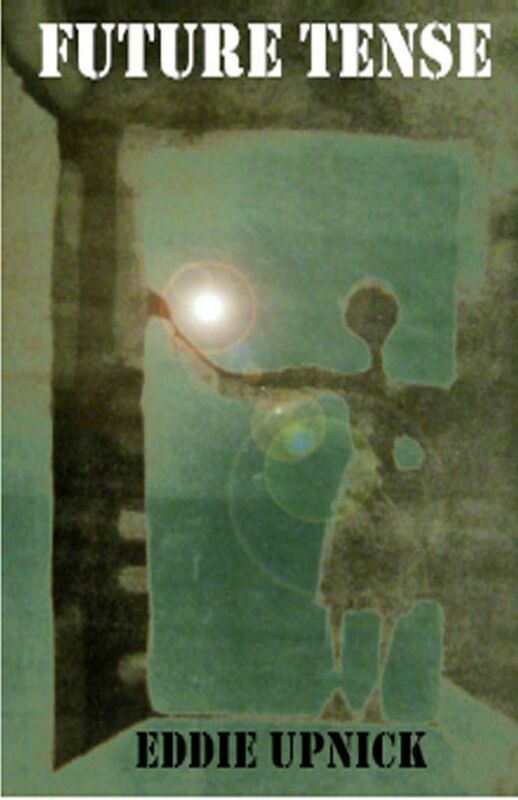 After the war, the lives of everyone on Earth are threatened by powerful aliens with their own designs for our planet. In this story of remarkable heroism and friendship, will the forces of good defeat the forces of evil and rescue mankind from an unthinkable future? Only Time Will Tell . . .